Tuckpointing is the process of repairing or refilling mortar joints in brick. The name comes from the action of tucking or packing mortar into the damaged joint with a tool called a tuck pointer. 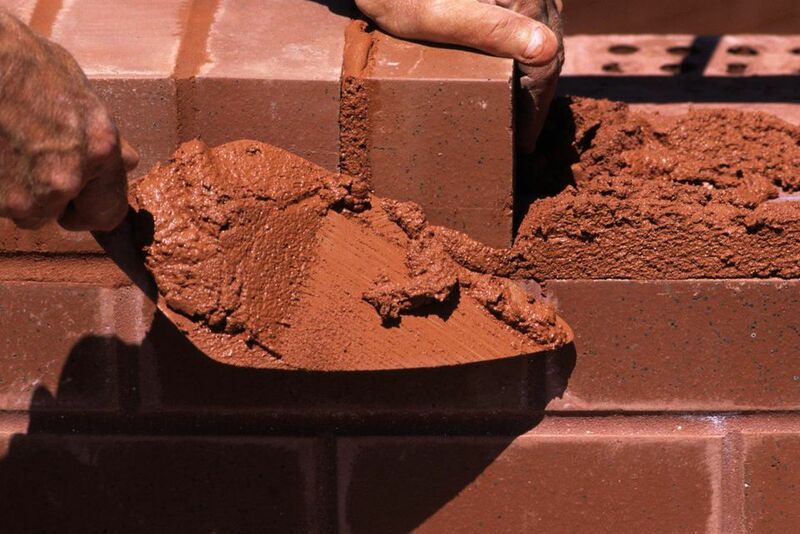 Mortar joints play a critical role in the structural integrity of a brick wall. They hold the bricks together, bear the compressive weight of the wall, and keep out water. The mortar also is the weak link in the brick wall system and is designed to deteriorate faster than the brick itself. 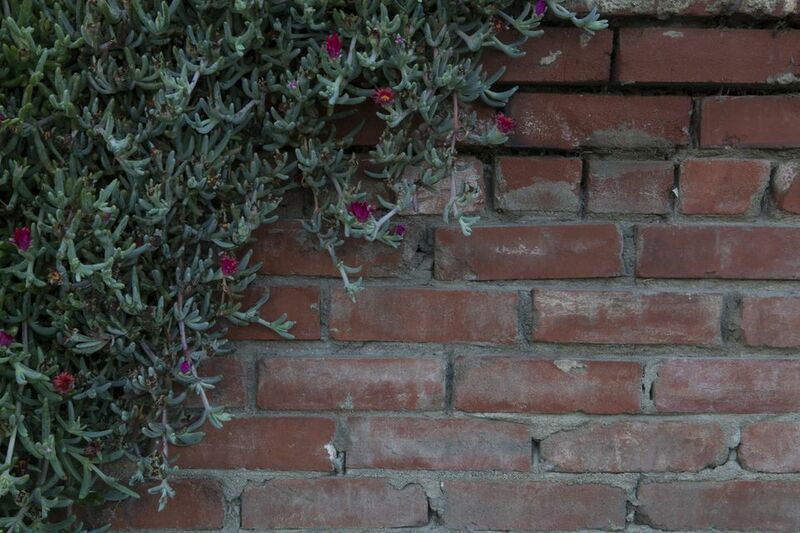 Repairing mortar now may mean you won't have to replace a damaged brick later. Keep in mind that new mortar usually has different coloring than old, weathered mortar, and it is difficult to blend the tuckpointed joints with the surrounding areas. You can help blend the colors by adding a cement dye to the mortar mix; this is particularly helpful if the old mortar has been dyed. Bring a sample of the old mortar to your masonry supplier for help with choosing a dye. Remove all loose and deteriorated mortar in the area to be repaired, using a hammer and cold chisel. You can also use a grinder to cut the mortar before chiseling it out. Clean out the old mortar to a depth of about 3/4 inch, exposing the solid, sound mortar underneath. Place the chisel at the edge of the brick and drive the chisel toward the center of the mortar joint. Do not drive the chisel toward the brick. To use a grinder, cut along the edge of the mortar, close to where it meets the brick. Be careful not to cut into the brick. Cut to a depth of 3/4 inch, then use a cold chisel and hammer to remove the mortar between the cuts. Sweep the loose mortar and dust from the joints with a stiff-bristle brush. Wet the joints by dipping the brush into a bucket of water and scrubbing it into the joints. It's ok to get the bricks wet, but don't spray the wall with a hose; use the brush instead. Mix a small amount of mortar with clean water, as directed by the mortar manufacturer, using a bucket and masonry trowel. If desired, add a liquid latex binder to improve adhesion and reduce cracking and shrinking. Also add a cement dye, if you're using one to match an existing mortar color. Mix the mortar to a pudding-like consistency, so you can slice off pieces with the trowel. Drop a patty of mortar onto a mortar hawk (or you can use a 12-inch square of plywood). Begin tuckpointing on the horizontal joints first. Hold the hawk against the brick and just under the joint to be filled, then slide some mortar into the open joint with a tuck pointer. Pack the open joint with mortar then scrape off any extra mortar so the mortar in the joint is flush with the brick. Fill the vertical joints by scooping a small amount of mortar onto the tuck pointer and packing the mortar into the open joint. Scrape off any extra mortar so the joint is flush with the brick. Check the mortar periodically as you work. It may begin to stiffen within about 30 minutes after mixing. Press your thumb into the mortar; when the mortar is stiff enough so that your thumb leaves only a slight impression, strike the joints with a jointing tool that matches the shape and width of the existing joints. Tool the horizontal joints first, then the vertical joints. Let the tooled joints sit undisturbed for about 30 minutes or until the mortar is quite firm, then brush the joints with a stiff-bristle brush to remove loose mortar from the joints and any spilled mortar on the bricks. Spray the new repair lightly with water to slow the curing process, as directed by the manufacturer. Often it's best to keep the area misted with water for 3 days. You can also cover the area with plastic sheeting to help retain moisture.